After a week of our family being sick with fever, congestion, coughing, headache, and sore throat, and having to cancel our family Christmas plans until this Friday or even next week, I am ready for something NEW!!! But I wanted to finish telling you about my trip to the south for my sister Maria’s college graduation. I had hoped to tour The Crescent again while I was visiting my family there. Unfortunately, it was closed the day I could have toured it ~ next time! I feel the huge, white mansion with its tall, white pillars, spacious rooms, and large oak trees with Spanish moss symbollize the beauty and Gone With The Wind romance of the deep south, southerners, and southern charm and hospitality ~ and a time gone by that makes you long for it again (almost!). It’s a staple of Valdosta’s scenery. It has always been my dream home! It was the first home in Lowdnes County to have electric lights, indoor plumbing, and central heating. 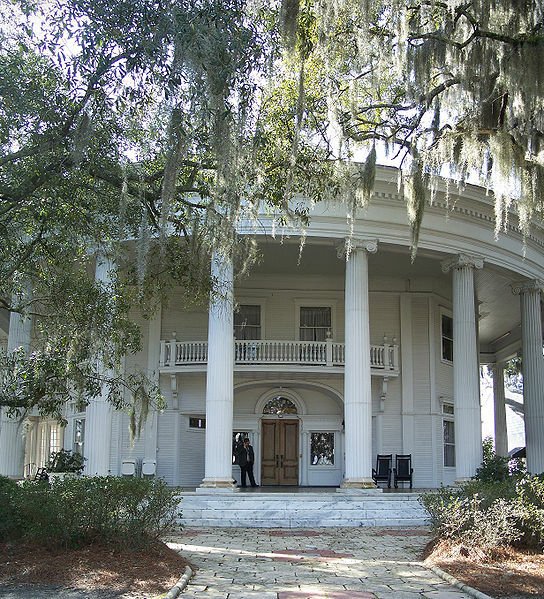 The enormous oak trees surrounding The Crescent were planted after the home was built (the home wasn’t built around the large oaks, as many people believe. (Resource: http://valdostascene.com/june2009/x155362519/The-Crescent)). The oak trees themselves are breath-taking. 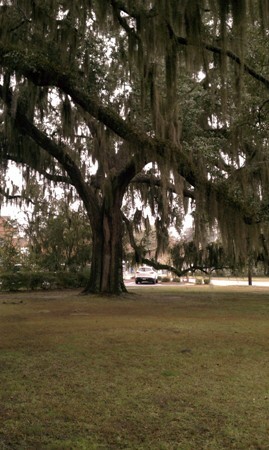 You truly feel as if any minute Scarlett O’Hara and one of her beaus might start walking around the corner in the yard, silhouetted against the Spanish moss. Because The Crescent was not open when I went there, I wasn’t able to take pictures of the inside, which I have toured several times before. You really have to just see The Crescent to appreciate its incredible beauty. 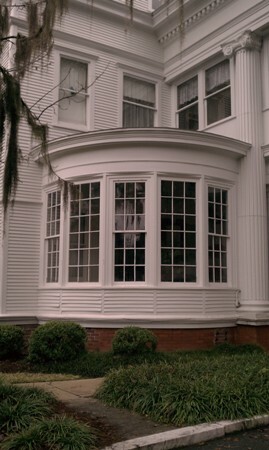 Like I said, this is my dream home – I love the Victorian era! Funny, but one of the wine-red Victorian sofas in a sitting room at The Crescent looks almost just like the one I have in our dining room at home! Great minds think alike. What will do you to achieve it in 2012? Maybe you should start here.